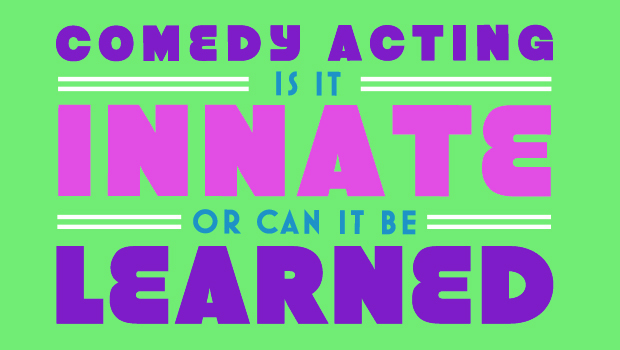 Comedy Acting: Is It Innate, Or Can It Be Learned? 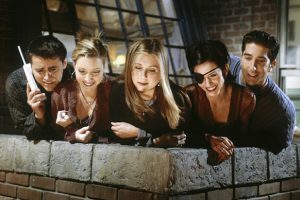 Comedy Acting: There’s an old adage, “dying is easy: comedy is hard.” This is very true — comedy is difficult because it requires a certain amount of spontaneity, creativity, and ability to play around with verbal and non-verbal text, and definitely comes easier to some people more than others. When you think of comedy, you’ll probably think of some of your favourite comedians — the likes of Jerry Seinfeld, Chris Rock, Louis C.K., Robin Williams, Joan Rivers, and Ricky Gervais. These incredible talent were born with comedy in their DNA, they knew from an early age that comedy was their passion and they wanted to devote their life to making people laugh. For a lot of actors, you probably didn’t grow up with quite the same devotion to comedy. Sure you like a good joke and enjoy playing around with your friends, but it was never something that held as much of a focus in your life as say, a comedian. But you want to try it, or improve your ability to perform in comedic scenes, or take on more comedic characters, and are unsure if you’re going to be able to do it because you have never really considered yourself to be the funniest person in the room. Obviously it helps if you’re naturally funny, or have a natural tendency to use humour as a way to deflect problems and deal with your insecurities. 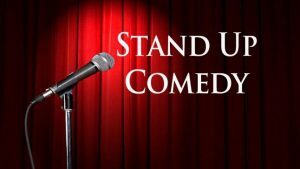 Great comedy comes from drama, which comes from pain, so most comedians, or naturally funny people, have this innate tendency to use humor as a way to deal with the difficulties and downfalls in their own life. So if you do in fact find yourself to be funny, or are even a stand up comedian or comic actor already, you’re off to a great start and probably just need to hone the skills that you naturally possess. For those that don’t consider yourself to be a stand-up comedian or naturally hilarious person, don’t worry, it doesn’t mean that you’ll never be able to do comedy. It just means you’re going to have to work at it a little more and practice to get better at finding the funny moments in things you do. Obviously timing, and finding the right timing in a scene to deliver a particular joke or behaviour is something you can work on and get better at, the more you do it. Good comedy acting is a collaboration with all the actors and it will be about going wherever the scene goes and finding a way to ground yourself in the truth of that moment. You’re going to have to commit to whatever it is your character is doing, no matter how ridiculous it might seem, as the audience won’t believe you’re going through it unless you do. You will also have to pay attention to the unspoken dialogue, as so much comedy is found in physical gestures, awkward pauses, and extreme behaviour that your character and others are doing in the scene. You never want to play for the audience and outwardly “try” to make the audience laugh, because that’s not where comedy comes from. Comedy comes from you, as an actor, committing yourself to the stakes in the scene as if it were the most important thing in your life. You get the laughs from the audience by committing yourself, whole-heartedly to the drama that your character is going through. The humour is going to be in the weird, quirky, and offbeat way that your comedy character deals with their circumstances. Not every great comedic actor you see on television is also a touring stand-up comedian. They probably do have a natural sense of humour and know where to find the jokes, but they got good at it by putting themselves in that environment over and over again. Also by drawing on their own personal quirks and insecurities they were able to open themselves up to their own comedic world. Comedy acting obviously isn’t for everyone, but most of you will be able to find it and hone it in a way that is hysterical. You just have to commit yourself to being fearless, looking like an idiot and having no shame, as well be willing to make mistakes and have fun while you’re doing it. © Copyright 2004 - 2018 AMP Talent Group Inc. All Rights Reserved.